Now that essential oils and therapeutic oils are extremely widespread, the application of specific oils for skin care is a less than foreign concept. But when it comes to our hair, oil seems to be the least desirable additive. 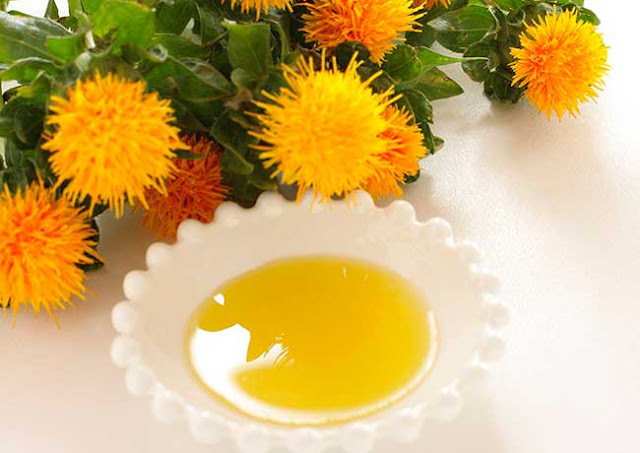 Pivotal studies show however, that safflower oil, derived from the seeds of the safflower plant, can actually produce favorable outcomes. This type of oil is comprised mainly of oleic acid, a key moisturizing agent, found in many products designed for color-treated, or untamed hair. It fuels the hydration process by increasing the amount of nutrients absorbed through the scalp, preventing dryness and restoring damage literally from the root. The product is essentially scent and flavor-free, so any traces of its use lie only on your own head and in your newly silky strands. Only one or two drops, worked into your palms and then carefully from ends to roots, is enough to repair split ends and prevent future dryness. So your car may not need an oil change, but have you checked your hair?